Moben Intl Co., Limited has played an important role in scooter-making market. It is an innovative and energetic enterprise. And it has launched several series of self-balancing intelligent scooters in recent years: single-wheeled scooters, twin-wheeled scooters, two-wheeled scooters and sitting-posture scooters. As Fosjoas products are more, the quality of them are better. They can satisfy all kinds of users' needs. This paper is aimed to explain each Fosjoas model to users. 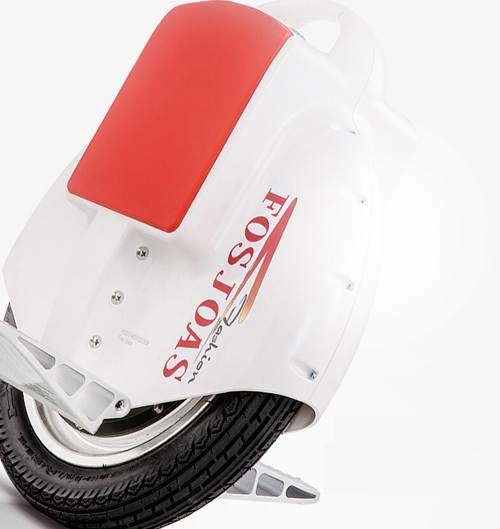 Fosjoas electric unicycles are so fashionable and agile that they are the most popular among all models. Because of the self-balancing one wheel electric scooter structure, it probably takes users more time to learn. However, Fosjoas unicycles have been built in self-balancing system inside. So the outstanding self-balancing ability makes them easier to learn than users might think. The agility of Fosjoas electric unicycle is more suitable for users to show their fantastic wheelies. The Fosjoas twin-wheeled electric scooter is the patent product of Moben. Twin-wheeled structure brings the self-balancing electric scooter stronger self-balancing ability. It helps riders to move smoother. A report once said a 13-year-old boy showed the football stunts on a Fosjoas V3 before. And V3 is the first Fosjoas twin-wheeled scooter. Fosjoas two-wheel electric self-balancing scooter appear more hi-end than the former models. They are equipped joysticks, and the two smart chips in the 2-wheeled scooters help them more intelligent. Fosjoas sitting-posture scooters K3 are rolled out by Moben in 2015. Different from other models, sitting-design is firstly added to electric scooters. The hydraulic suspension and electronic brake system make riders' trips on Fosjoas K3 more comfortable and safer. At the same time, phones can be connected to Fosjoas scooters K3 via APP. After downloading the APP, users can monitor data of K3 at any time during riding. If they're tired of sitting on Fosjoas electric self-balancing unicycle, they can try the new sitting-posture scooters. If users want to do more interesting things, they can try Fosjoas unicycles or twin-wheeled scooters. Fosjoas intelligent electric scooters bring more products and happiness to users.